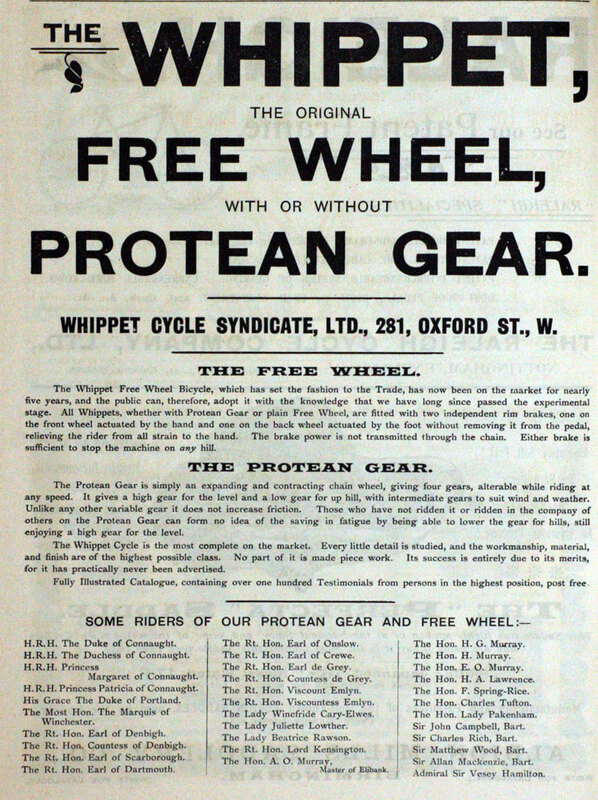 Whippet were motorcycles produced from 1903 to 1905. Two machines were exhibited at the late-1903 Crystal Palace show, fitted with a two-speed gear. This comprised two chain wheels of different diameters, fitted to the rear hub and a device to shift the drive chain from one to the other, just as on a bicycle. One machine was a solo fitted with an FN engine, the other a forecar powered by a 3.25hp Aster engine. This page was last edited on 25 November 2012, at 17:46.